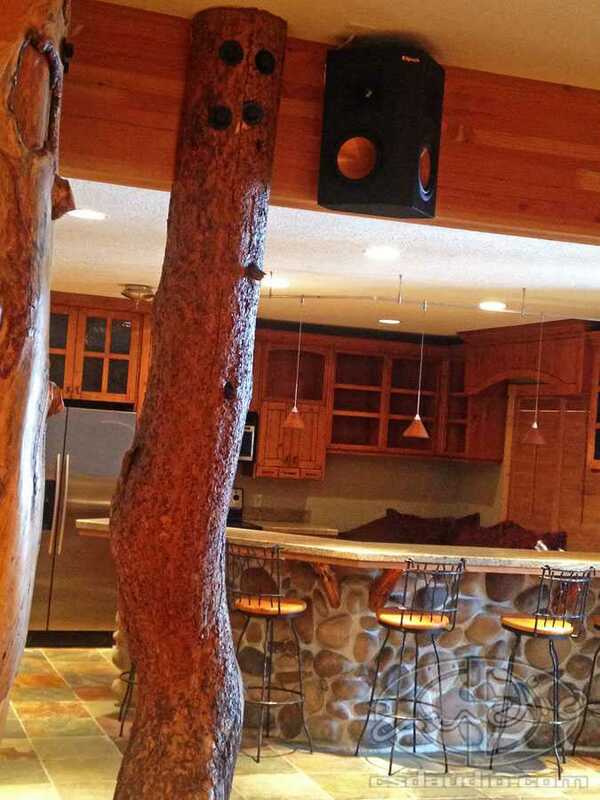 Jon recently purchased a home that was fully wired for a home theater system but all the equipment had been removed. 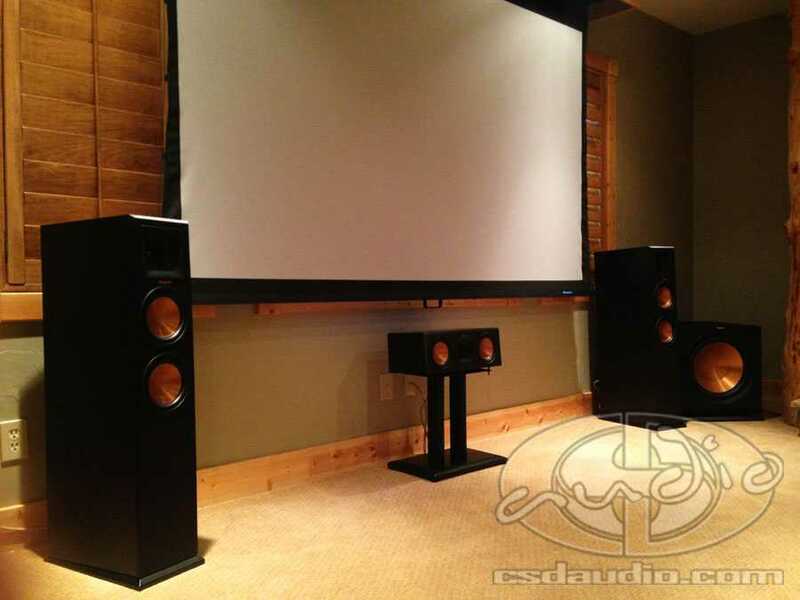 CSD Has the perfect replacement solution, the Klipsch Reference Premiere home theater speakers and subwoofer. 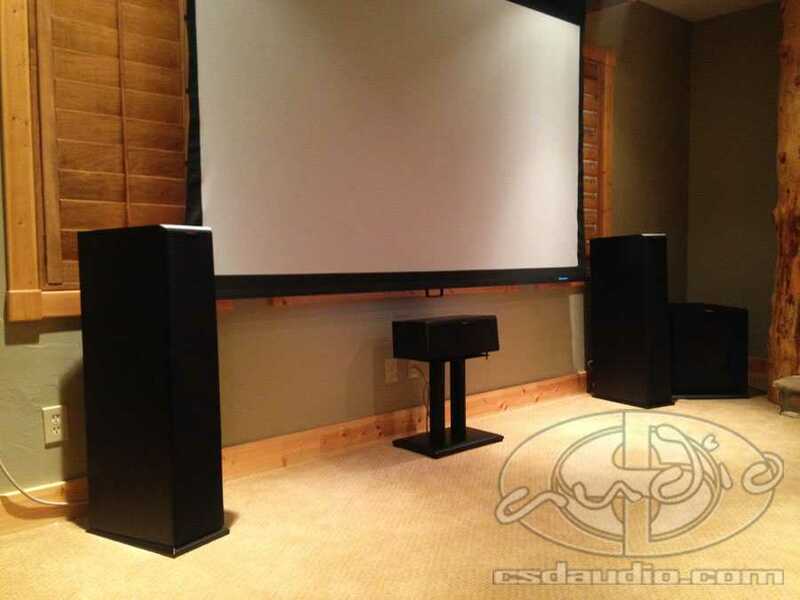 This theater system with its tower speakers and big 15″ subwoofer sounds awesome! 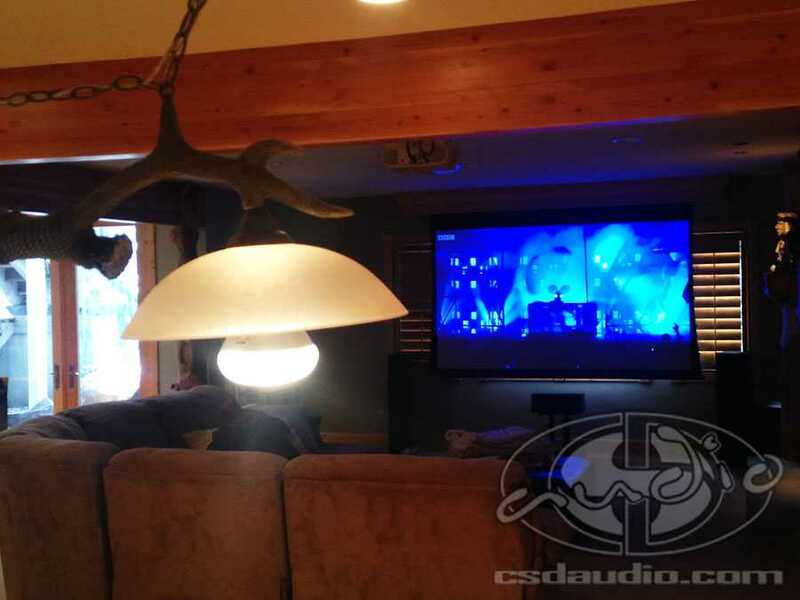 CSD Also added a Sony network connected receiver and Sony Blu-ray player. 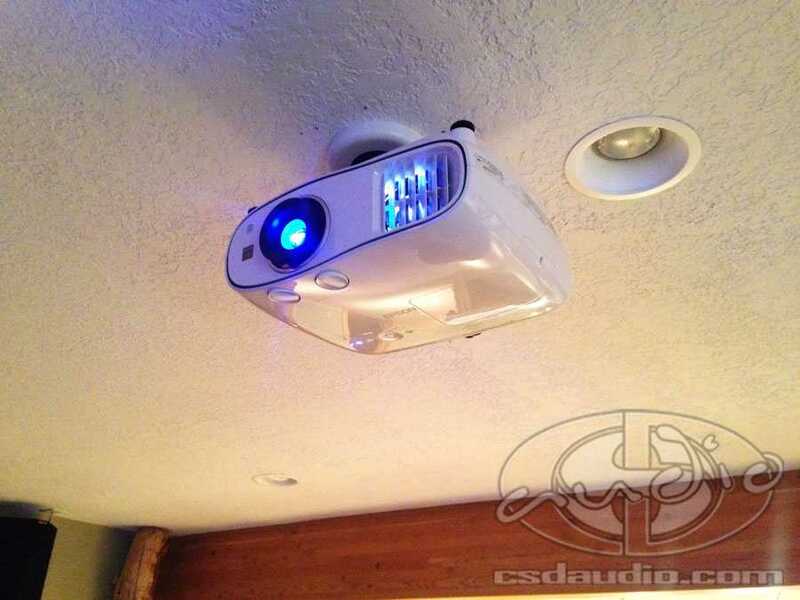 This theater is located in a large, multi purpose space within the home. 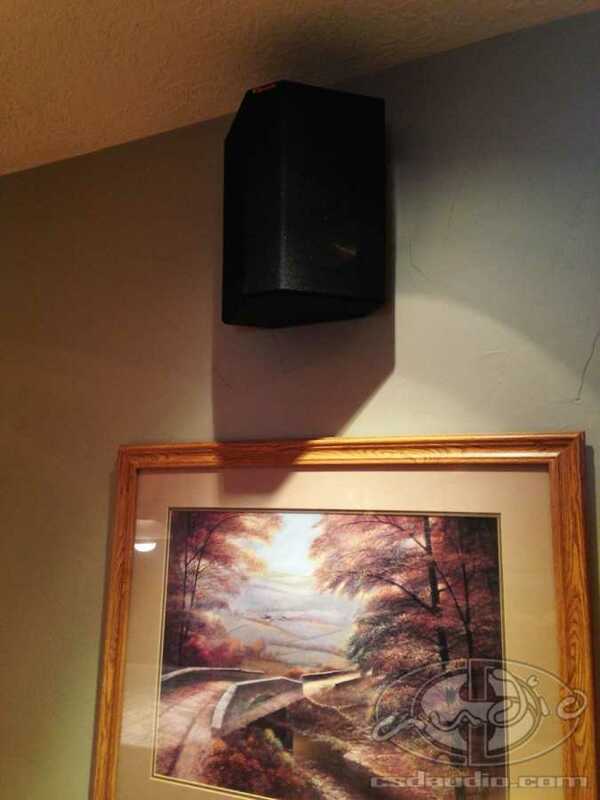 An Epson 3500 projector was chosen because of it’s superior image quality but also it’s ability to deliver a bright, vivid picture even when the pool table is in use or people are hanging out at the bar. 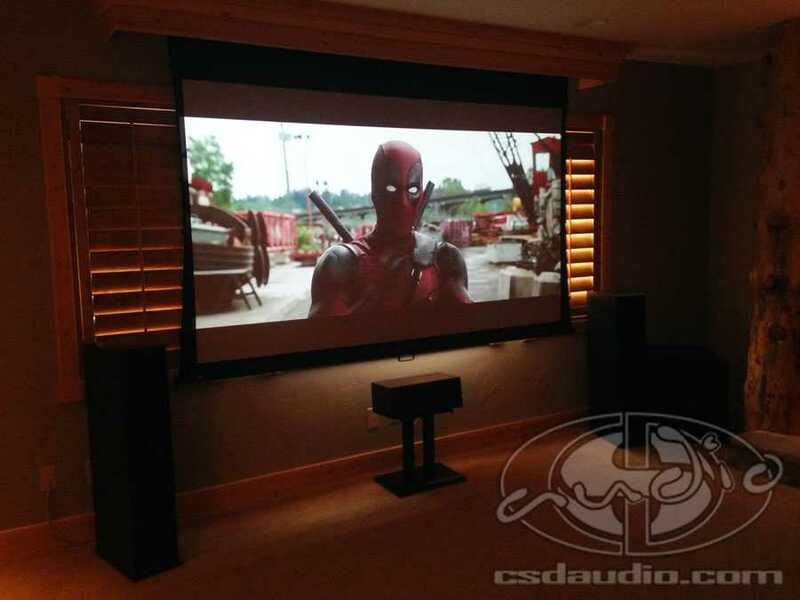 Wrapping up this #HomeTheater install with #Klipsch Speakers, #Sony receiver and blu-ray player, finishing with an #Epson projector. A #HarmonyElite universal remote controls it all. We chose the Epson because it's crazy bright and can be seen clearly, even during the day with most of the basement lights on around the pool table and bar. This theater will be great for movies with the family or parties with 50 of their closest friends!